Here's a self-paced course from Get it Scrapped that I am taking right now and will be reviewing for you soon. So far, I can tell you that I'm LOVING it. It already has me thinking differently about my journaling and I took some of the lessons to heart with some layouts that I created this weekend. The focus of Be Real is making scrapbook pages from your everyday life and events photos that have meaning. Each lesson begins with a line from one of Jane Austen’s novels or personal letters–and this is because she is a writer who knew how to make a record of (imagined) life with humor and meaning. Her techniques and observations are a goldmine for memory keepers and memoirists today. 1. Take your everyday life and event photos beyond the obvious. 2. Tell truths that matter. 6 lessons in pdf form (filling 70 pages) with layout examples and detailed how-tos for adding meaning via journaling and design. Visit the Be Real product page and you can even view a PDF sample of the book to see if it's for you! 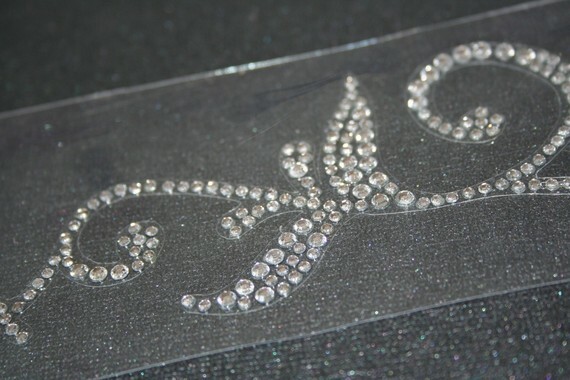 She has recently also introduced some rhinestone designs and this month, this clear rhinestone swirl is what caught my eye. 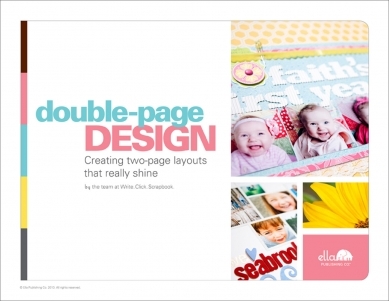 Double-Page Design is the newest eBook offering from Ella Publishing Co.
"Get more photos scrapbooked in less time with Double-Page Design! 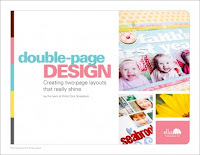 This eBook will show you how to fit 170 photos onto 21 stylish, well-designed layouts! On top of that, you'll enjoy 24 extra tips and ideas plus 16 bonus layout sketches by Ella's sketch girl, Donna Jannuzzi."